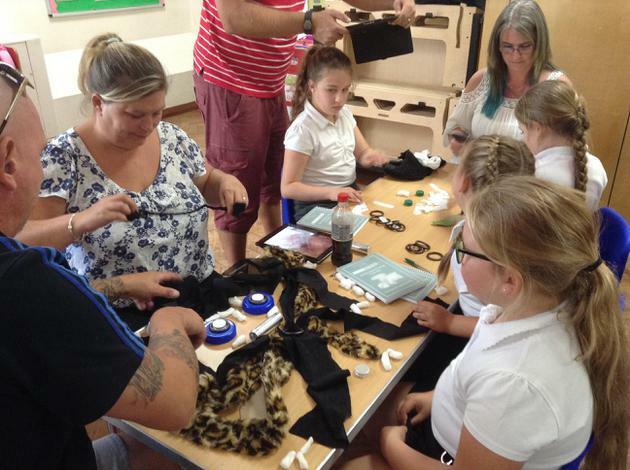 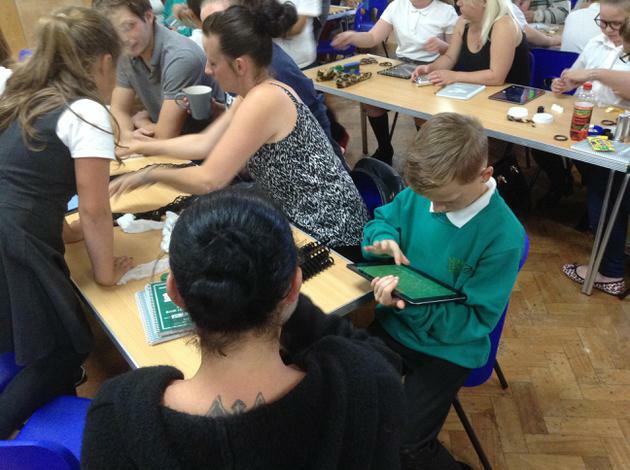 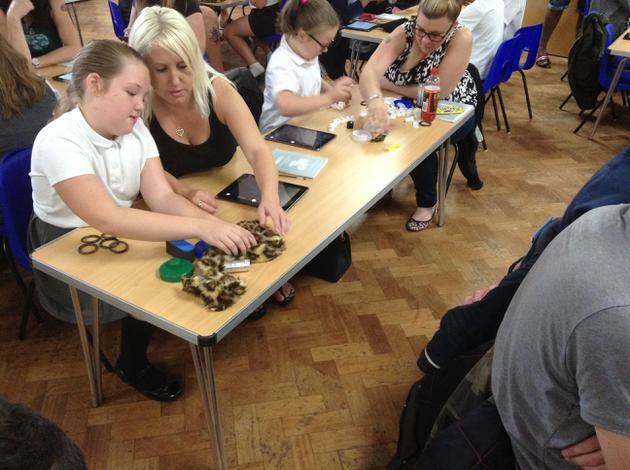 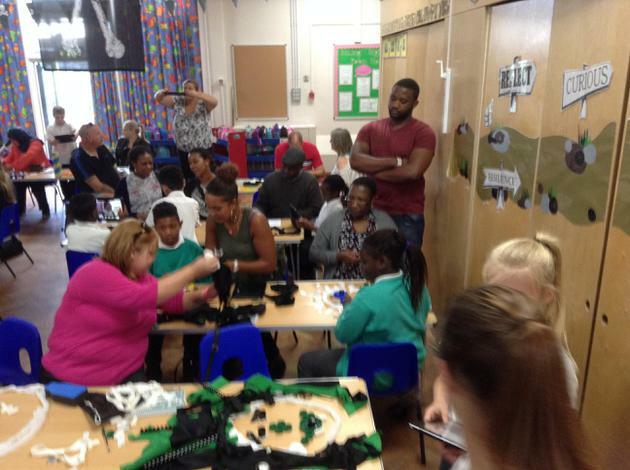 It was great to see so many parents attend our Greek open afternoon to mark the end of our termly topic. 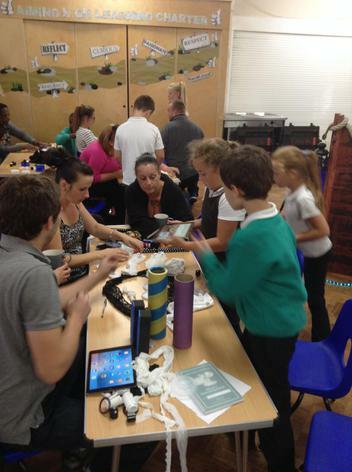 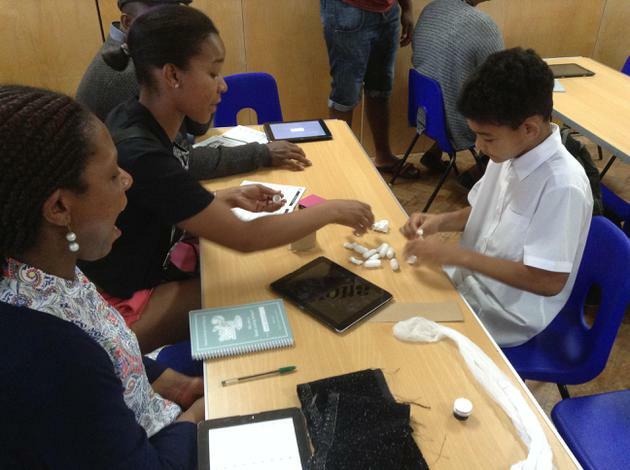 The afternoon included a showcase of the work produced by the children, Greek music, food tasting and art activities. 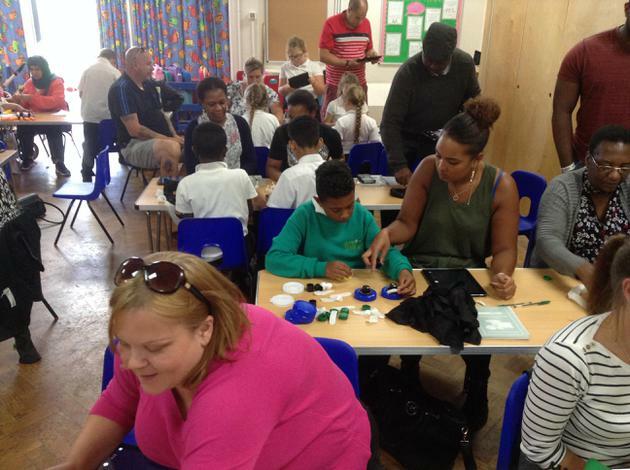 Thank you to all those who were able to attend and for your kind donations! 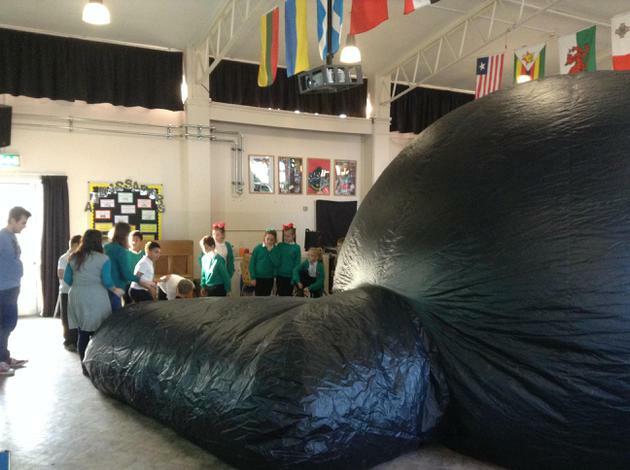 Today Year 5 were lucky enough to have a fantastic experience in the inflataverse. 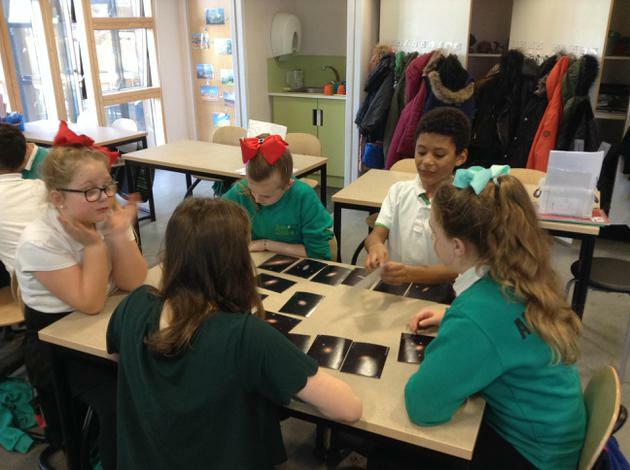 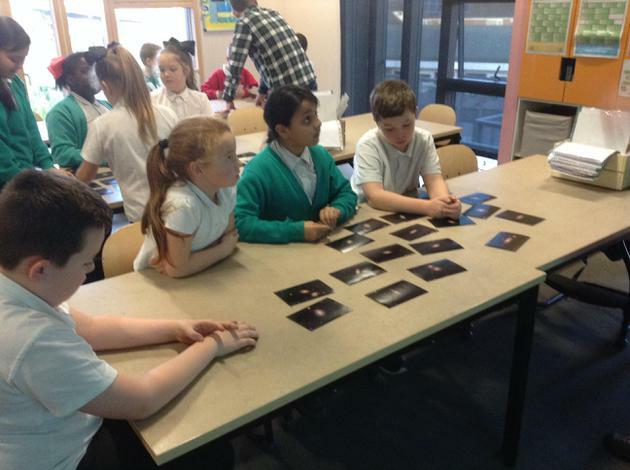 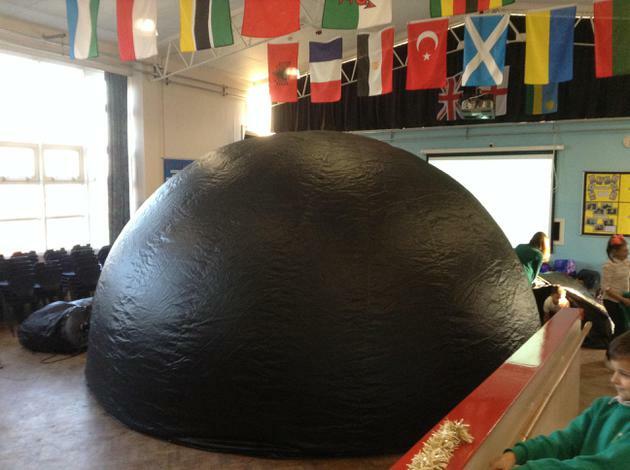 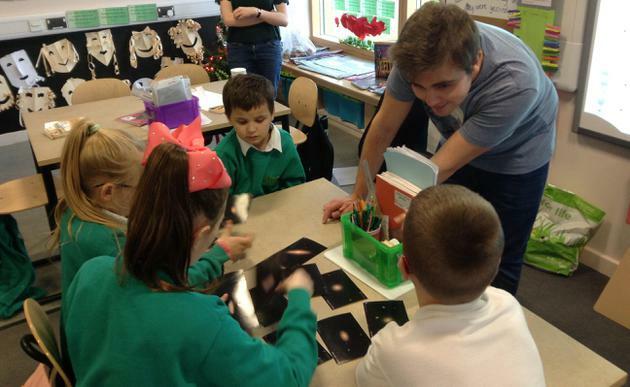 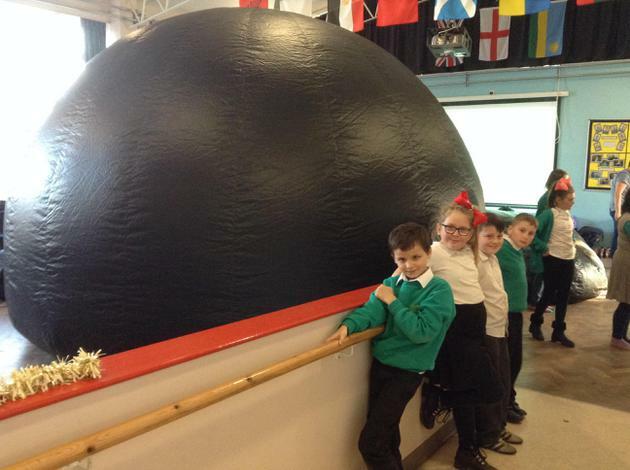 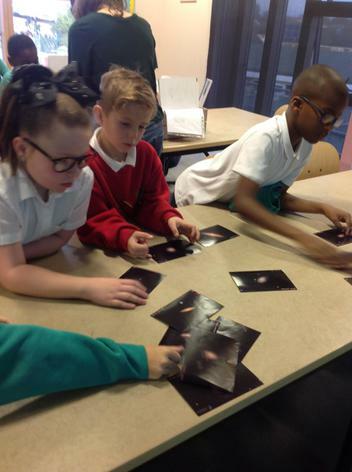 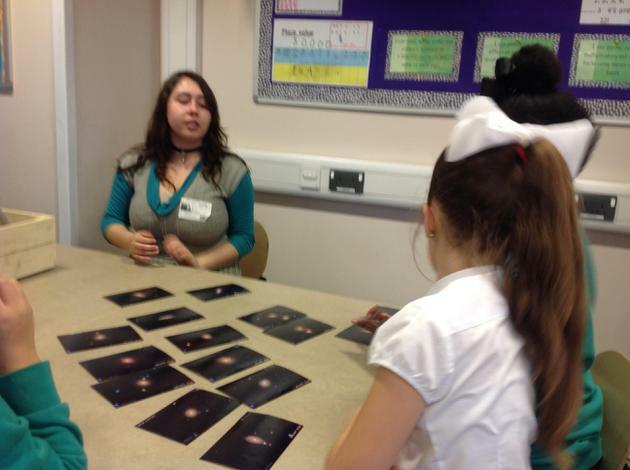 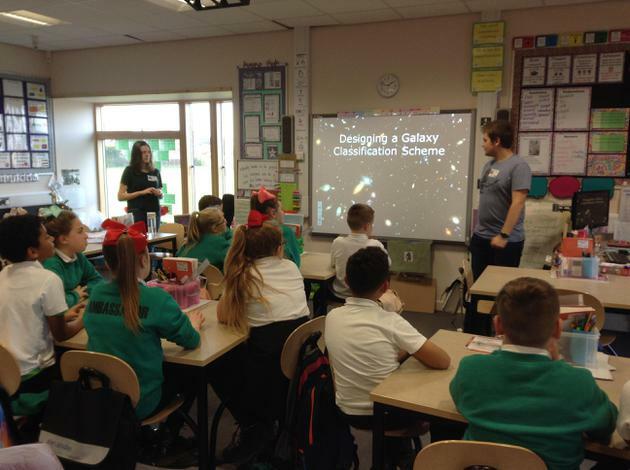 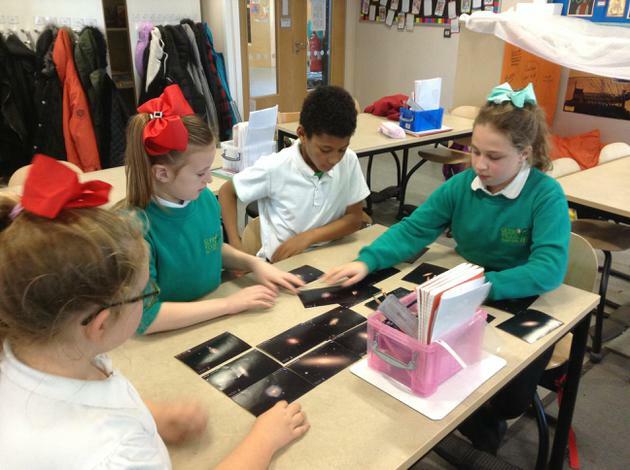 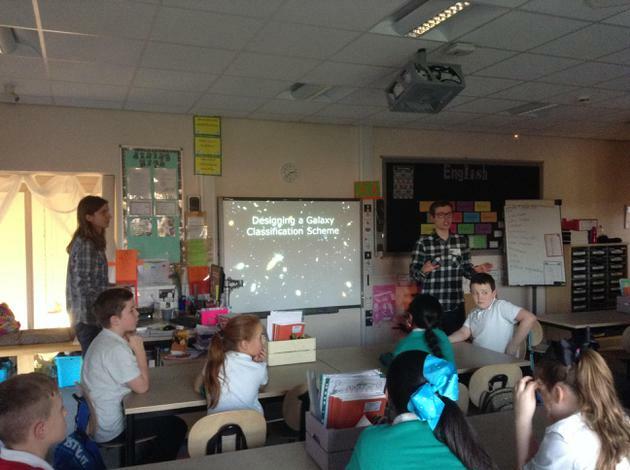 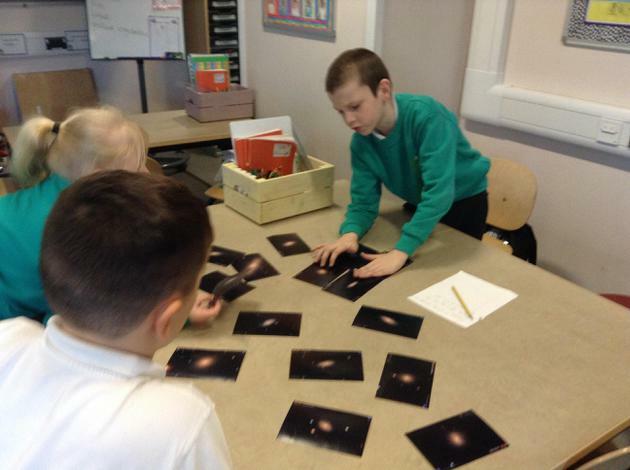 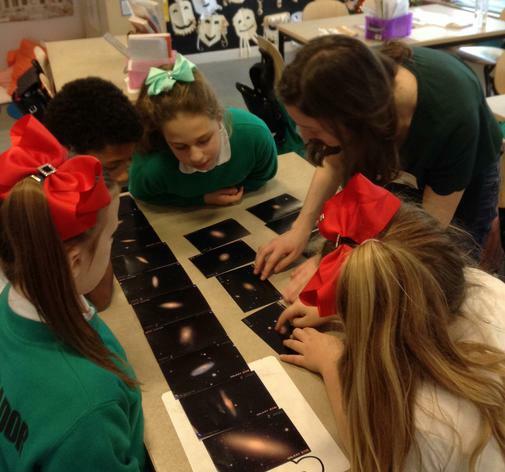 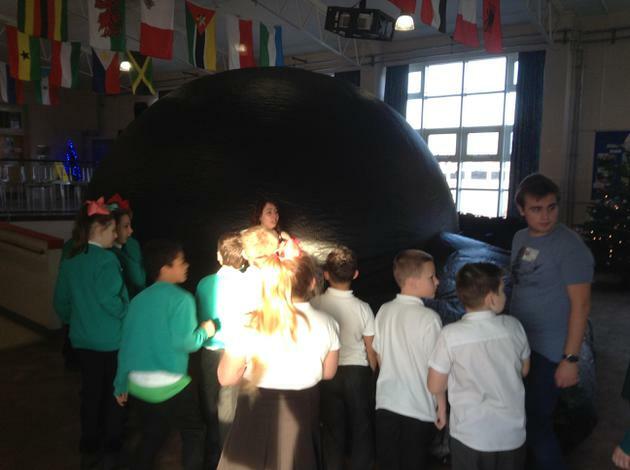 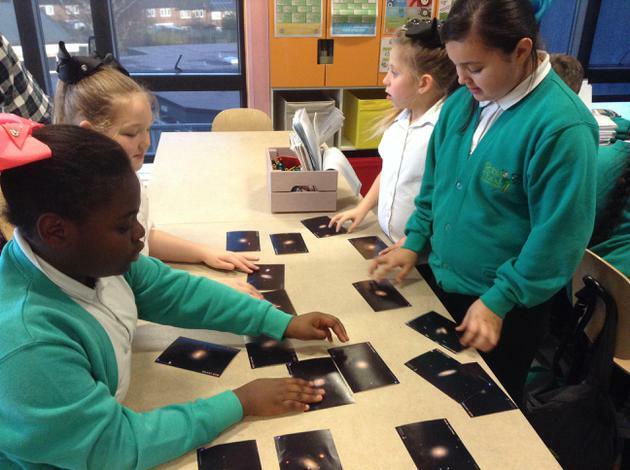 The children learnt about galaxies, star constellations and all things space related in preparation for next term's topic. 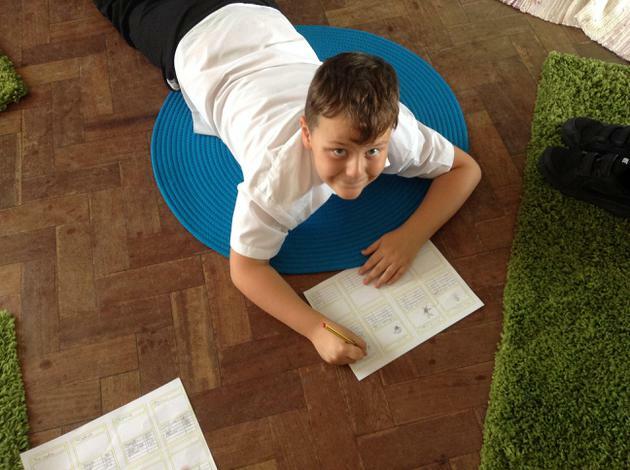 Last week Year 5 really enjoyed sampling some Greek foods. 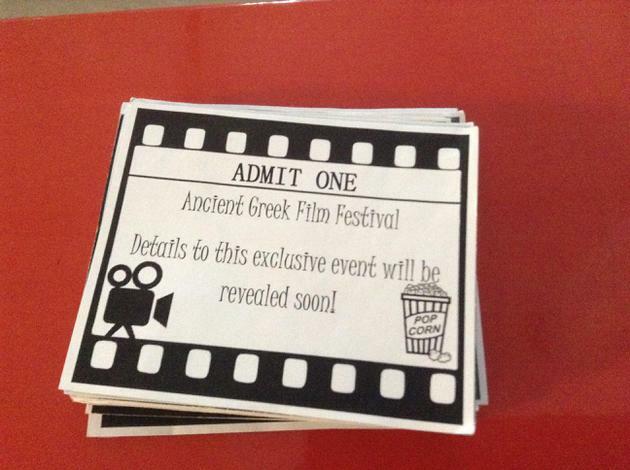 These included olives, olive oil, pita bread, hummus and feta cheese. 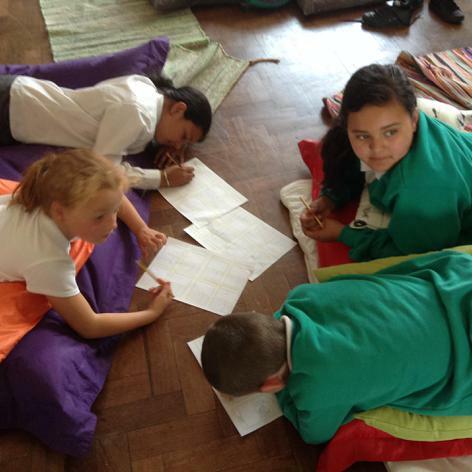 We learnt about traditional Greek food and dishes; we then wrote our own delectable Greek menus! 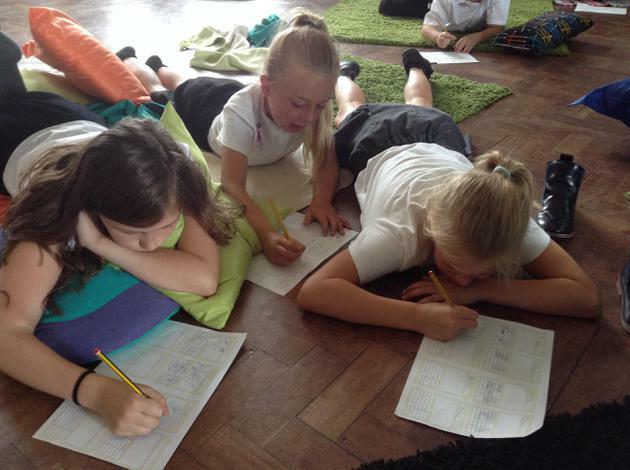 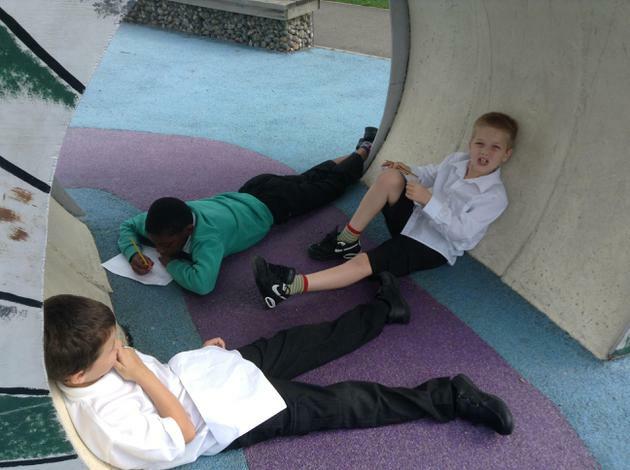 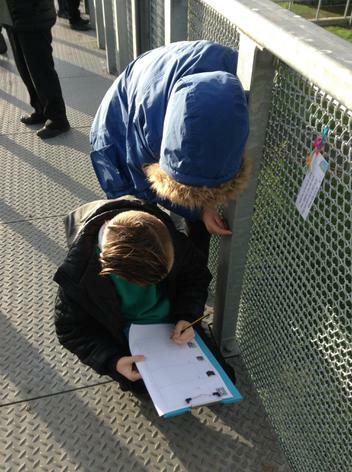 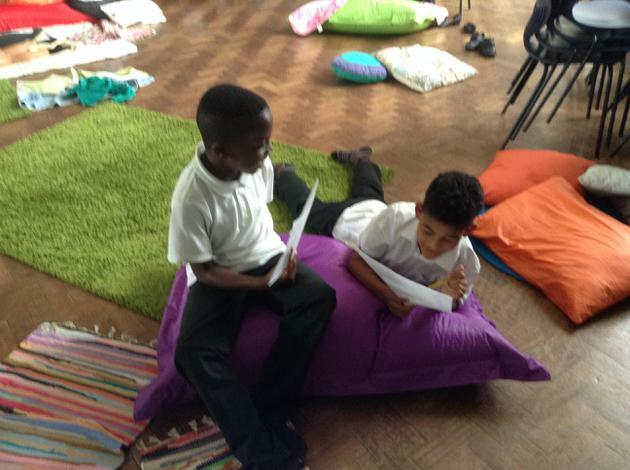 Over the last couple of weeks, year 5 have been developing their use of written methods to add and subtract. 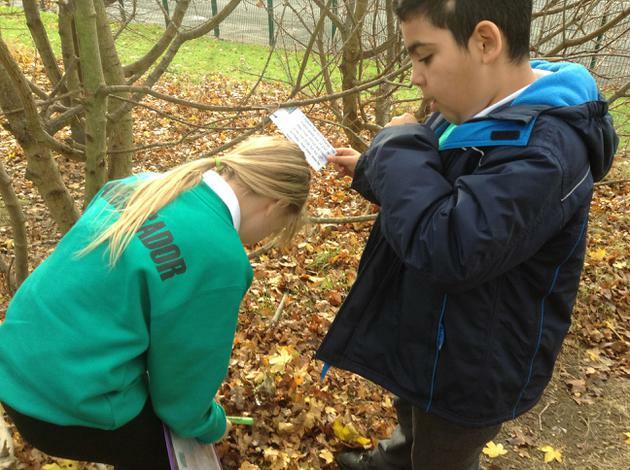 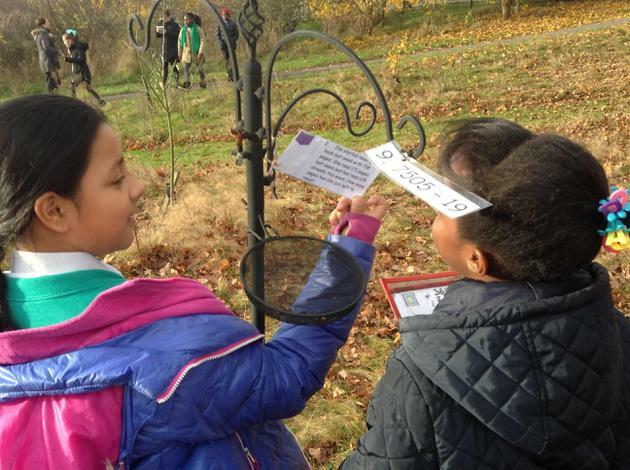 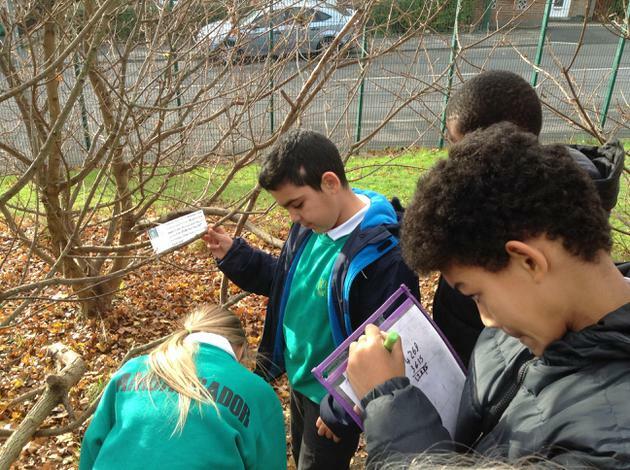 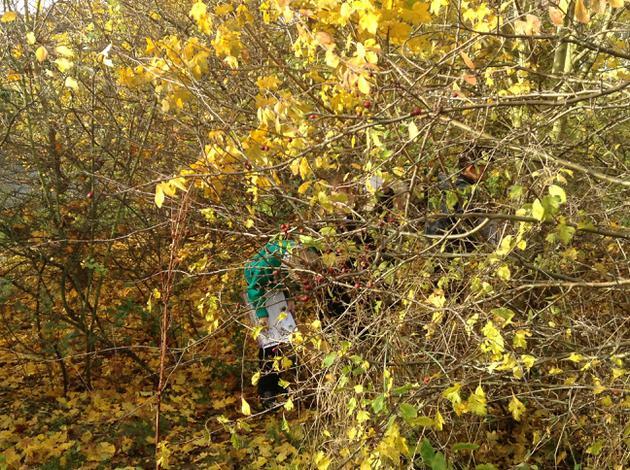 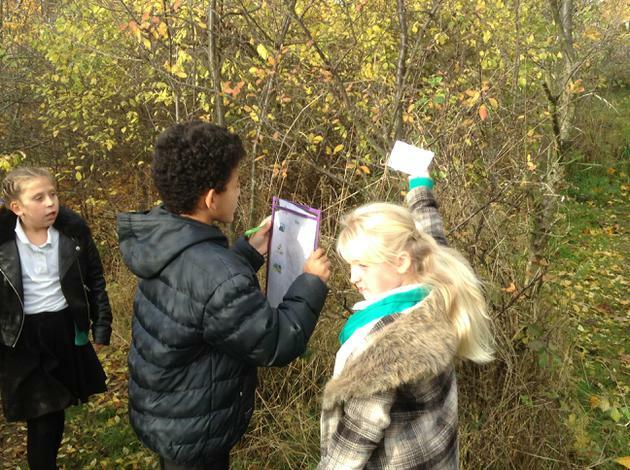 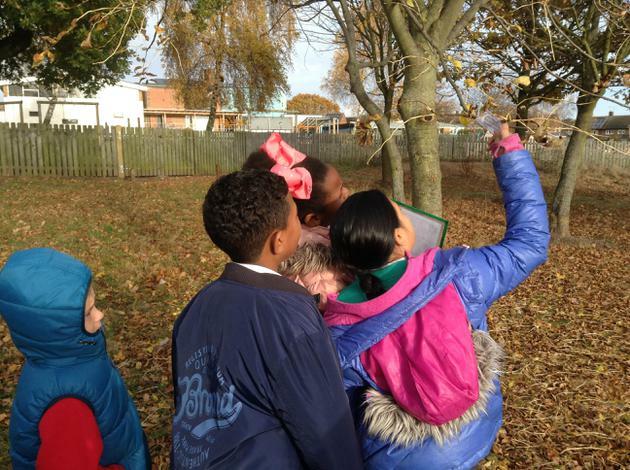 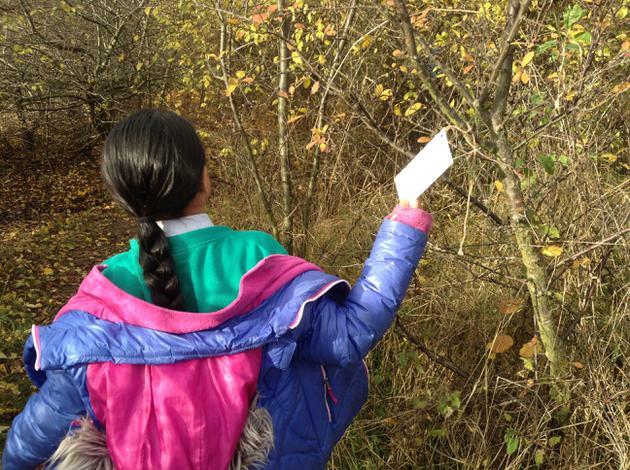 This week,we have been applying those skills to solve word problems and today used the outdoor areas to go on a problem solving hunt! 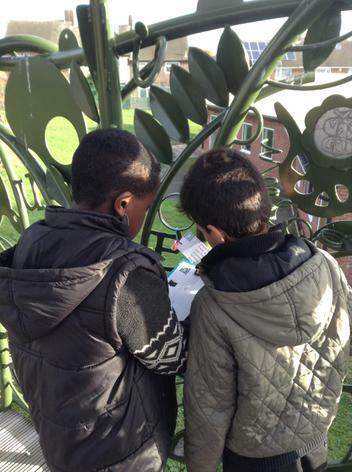 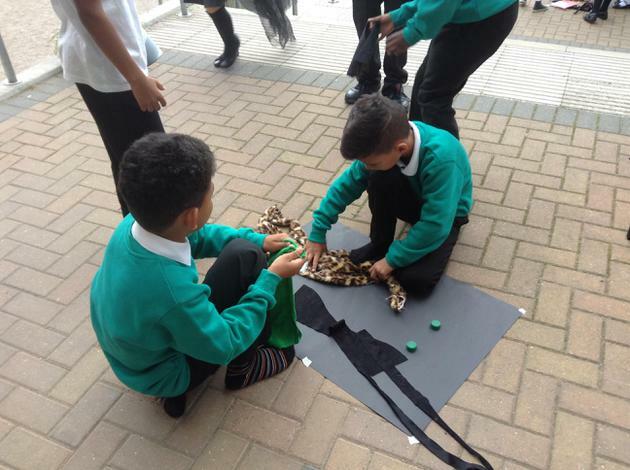 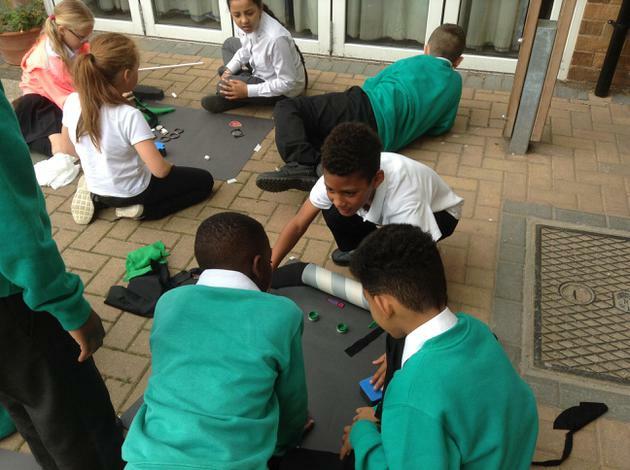 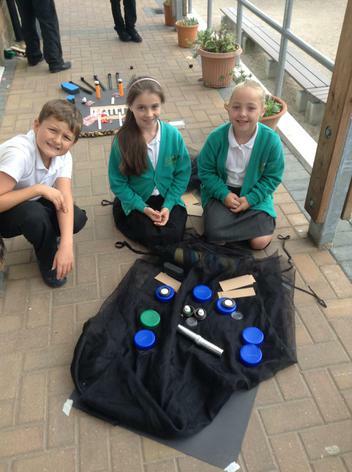 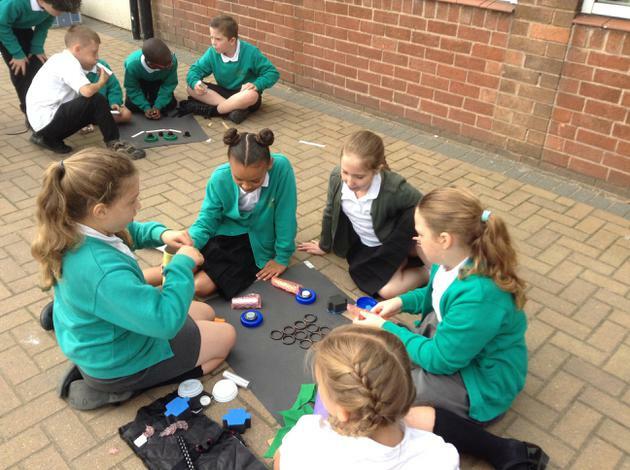 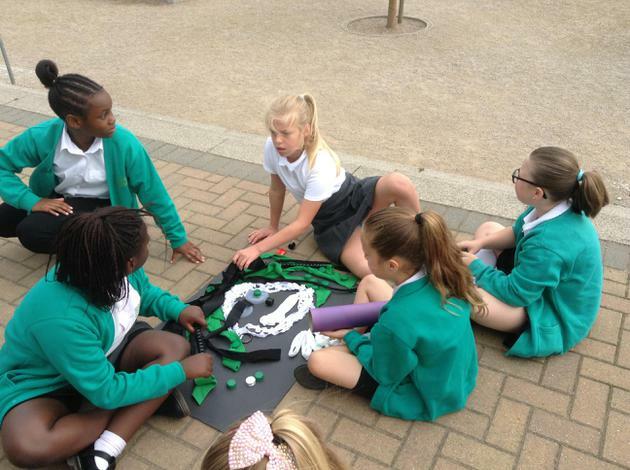 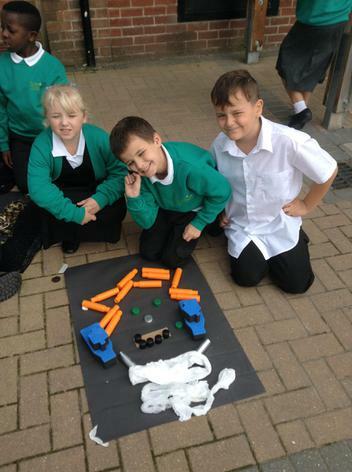 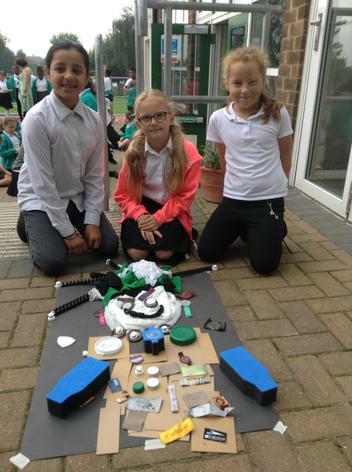 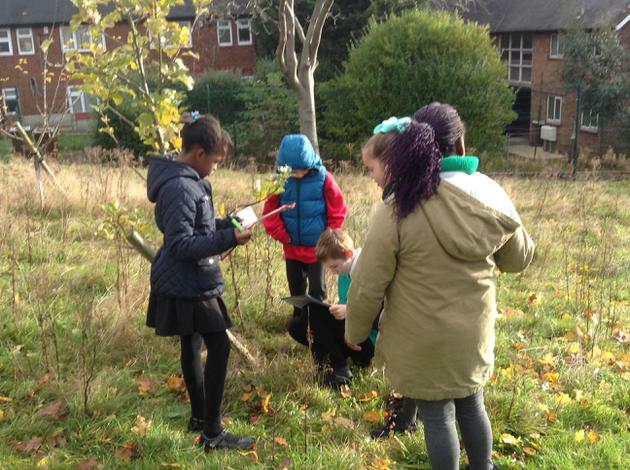 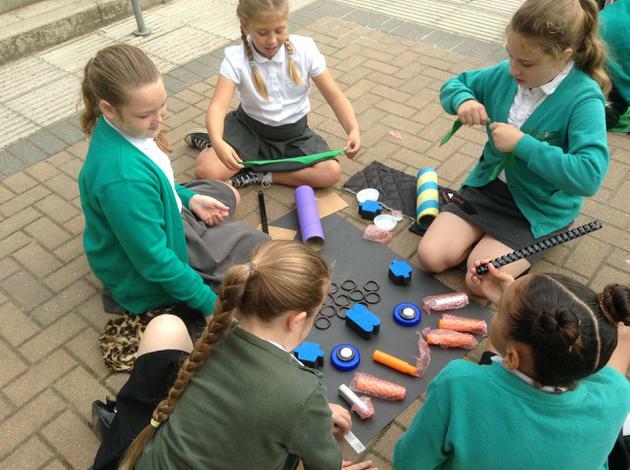 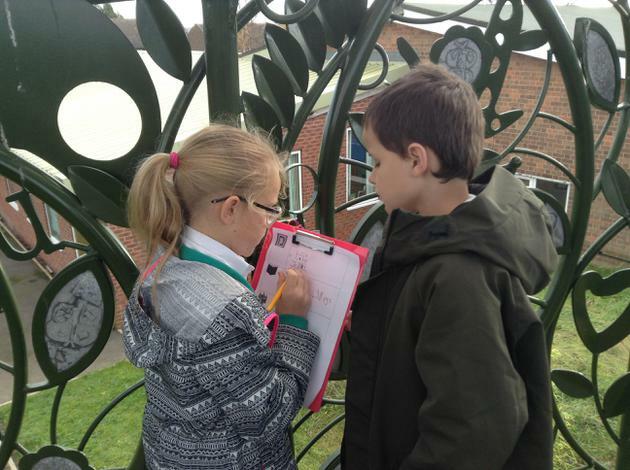 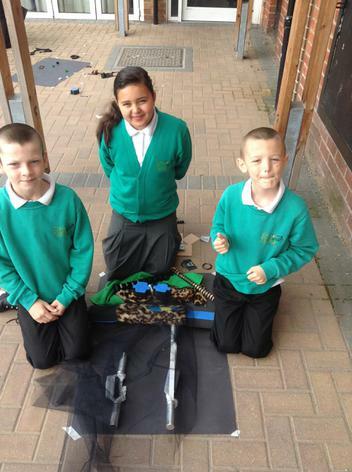 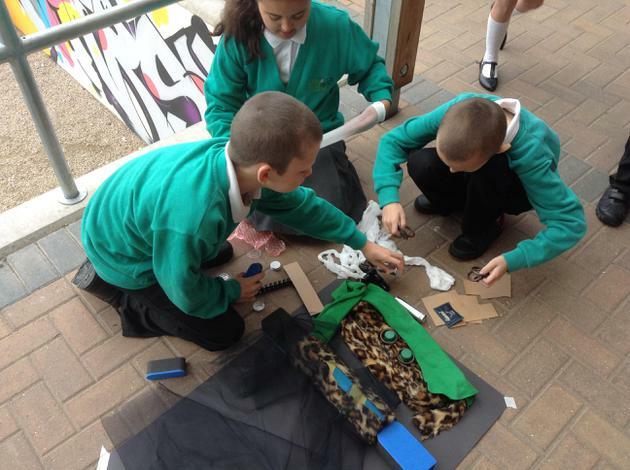 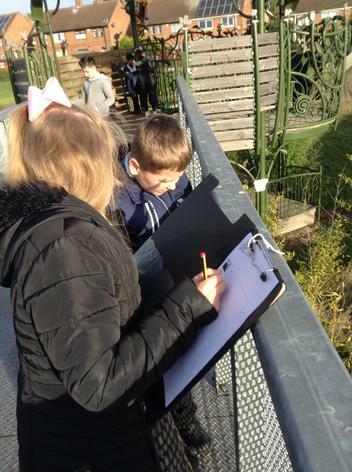 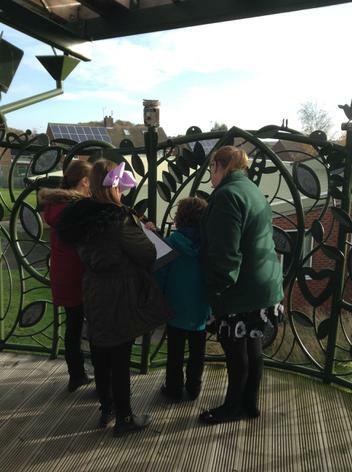 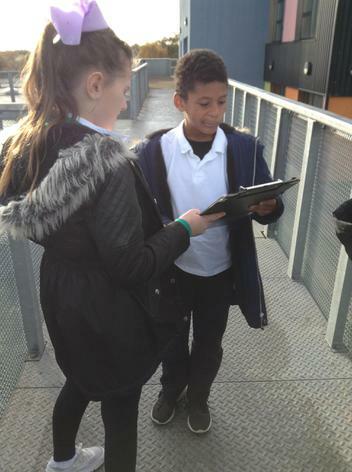 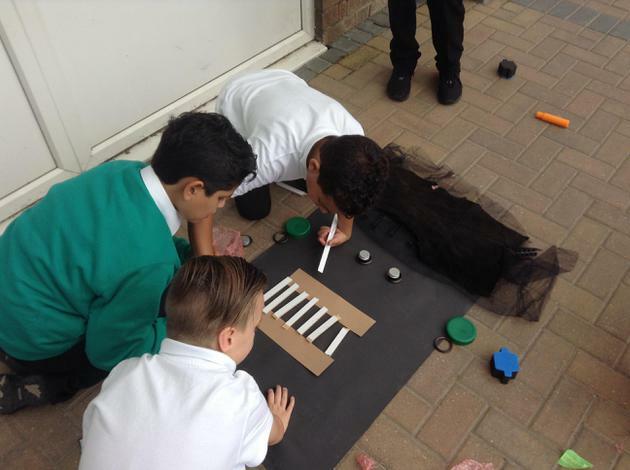 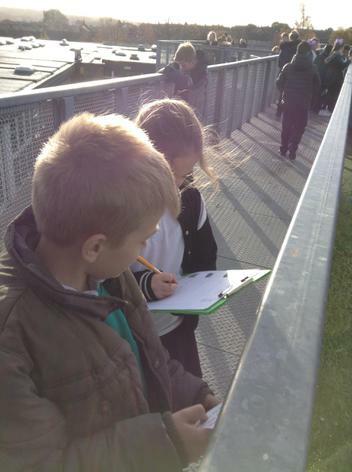 The children collaborated really well and had a great time challenging themselves to find and solve all the problems. 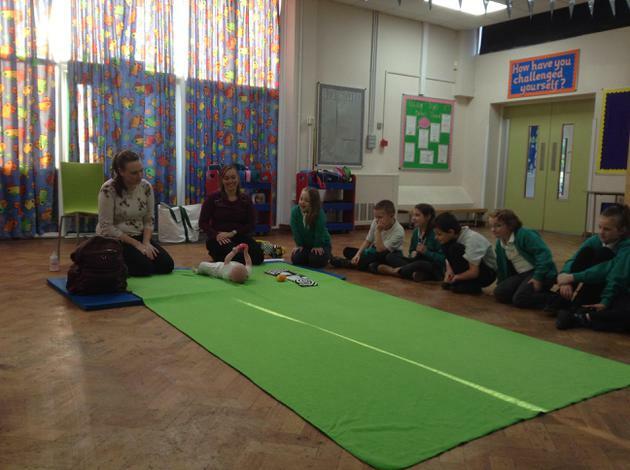 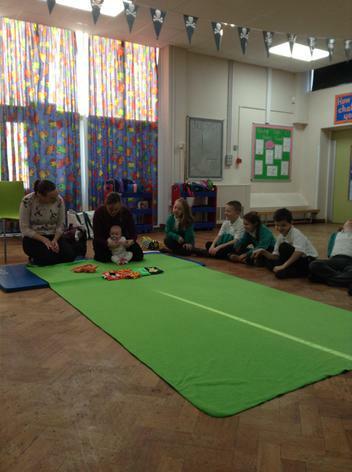 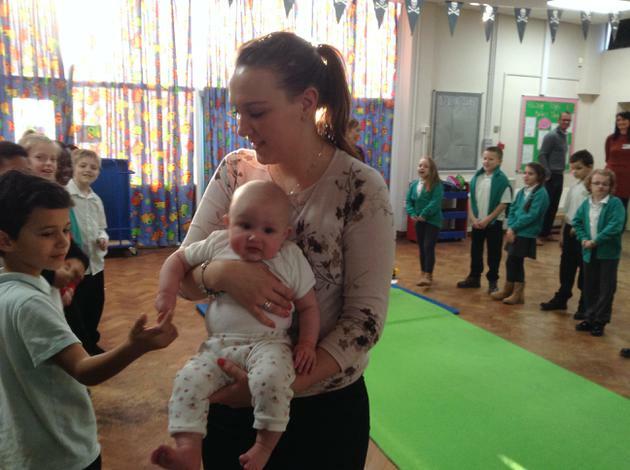 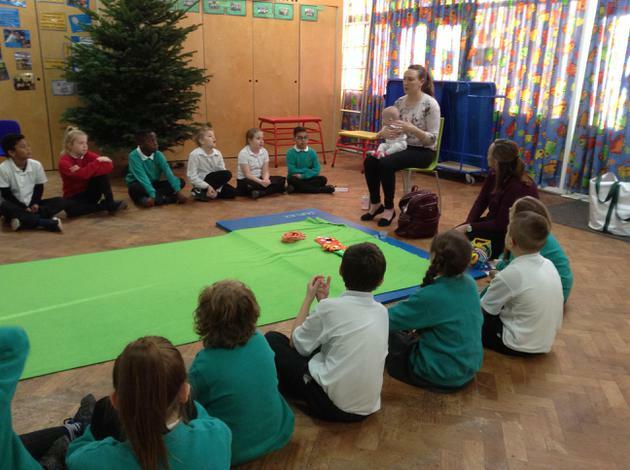 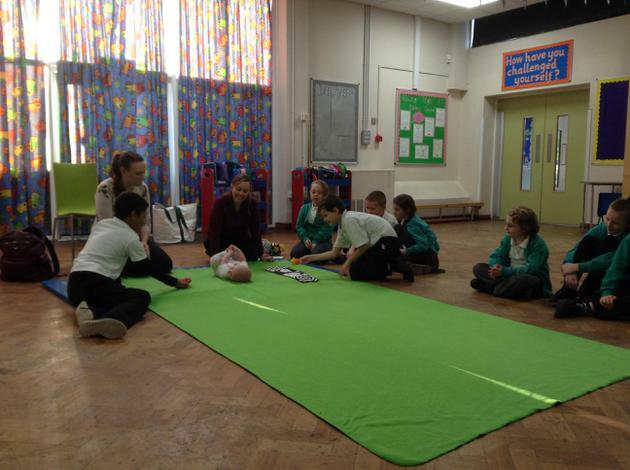 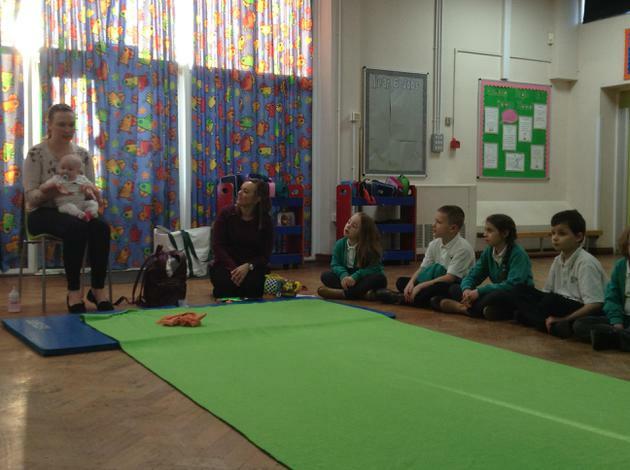 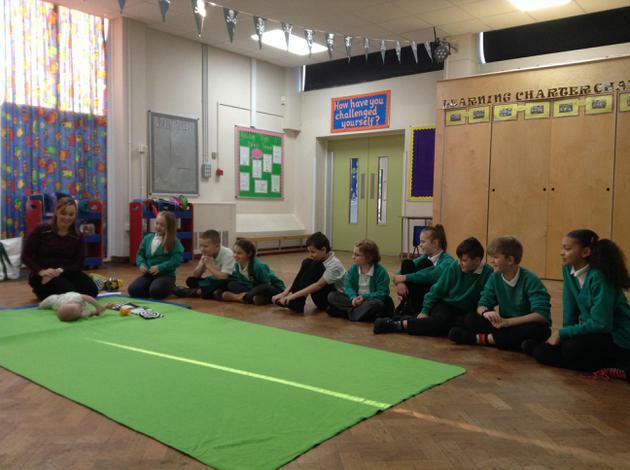 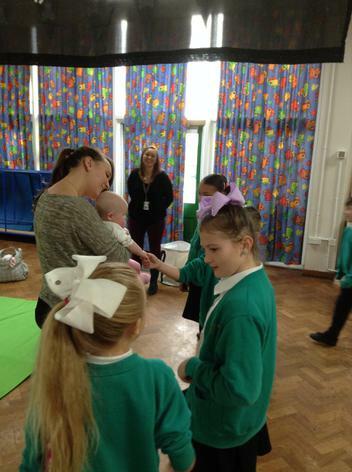 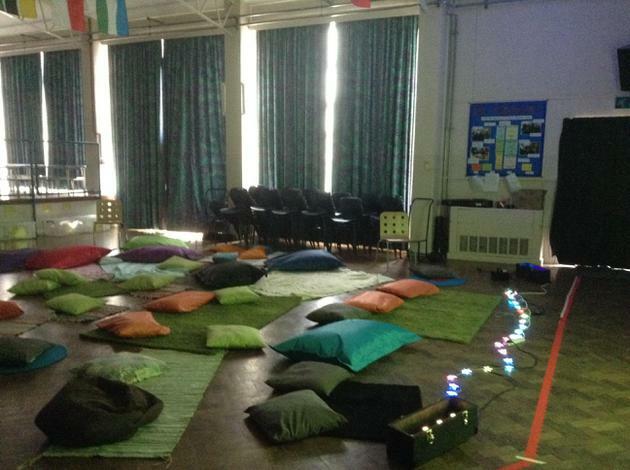 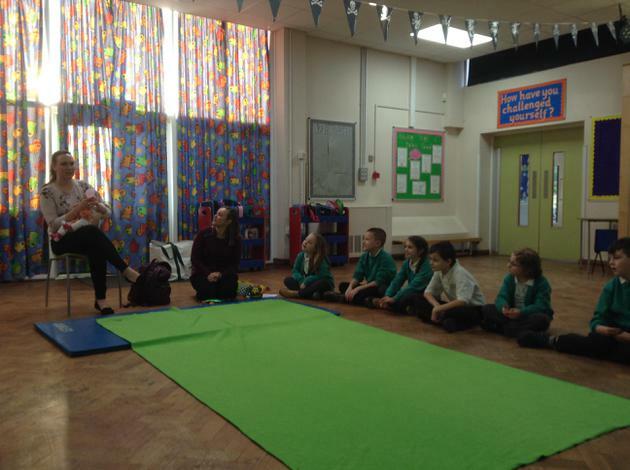 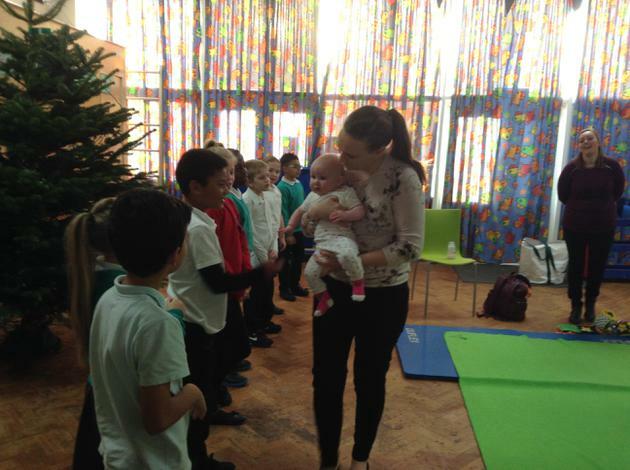 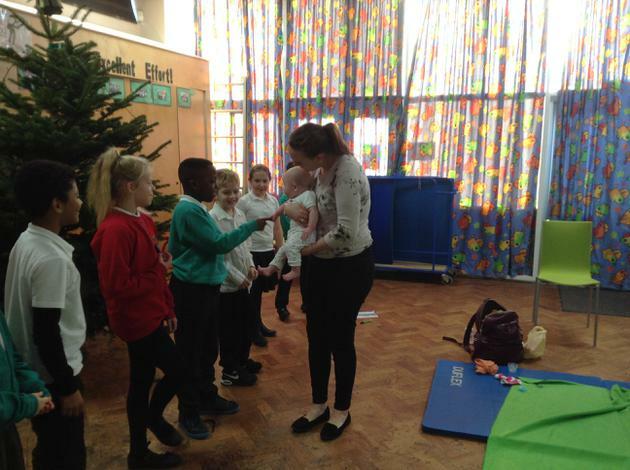 Class Lincoln are really enjoying the Roots of Empathy sessions, especially when baby Caitlin has been to visit. 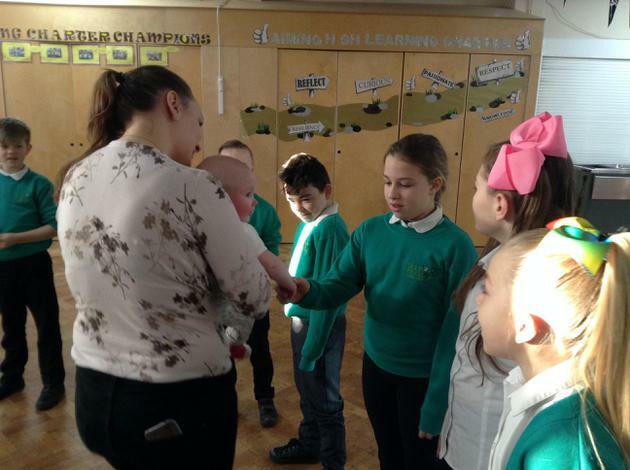 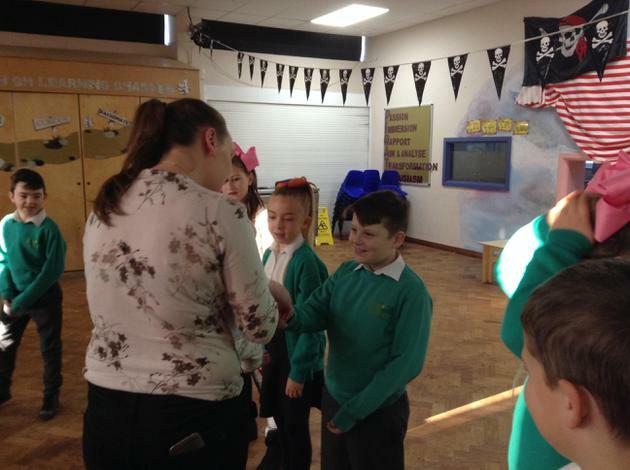 The adults have been really impressed with how respectful Class Lincoln have been during these visits and Miss Clough has loved bringing Caitlin into school. 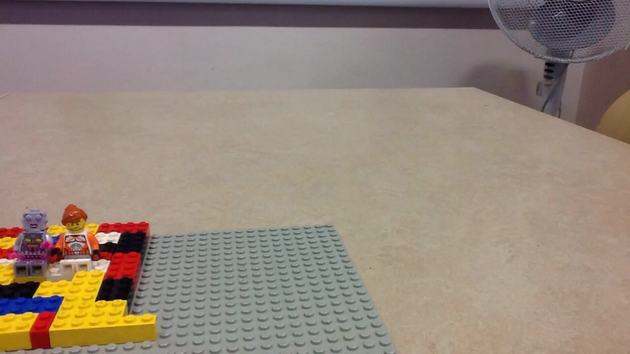 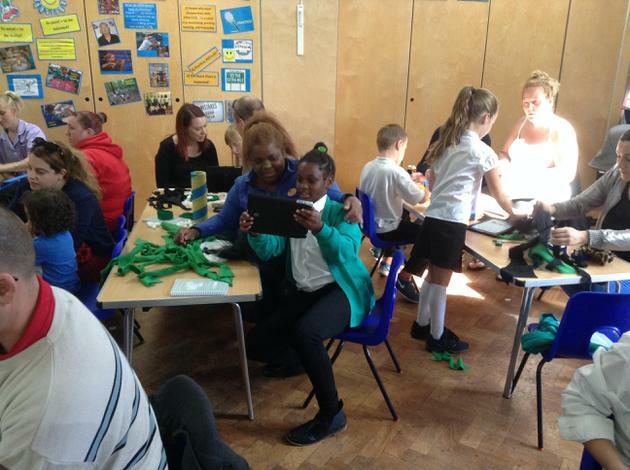 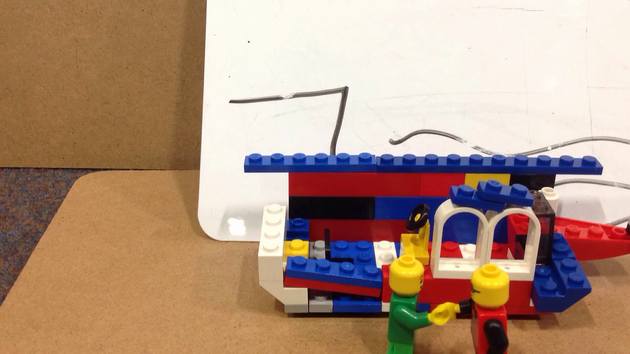 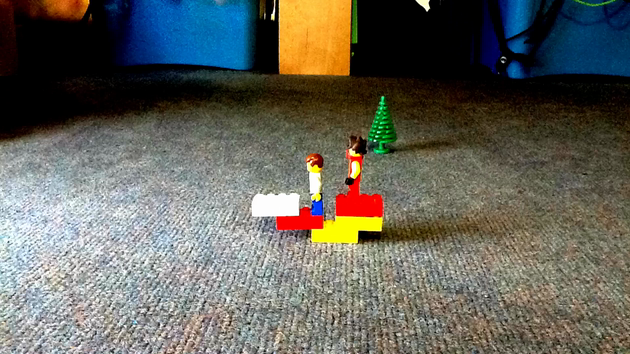 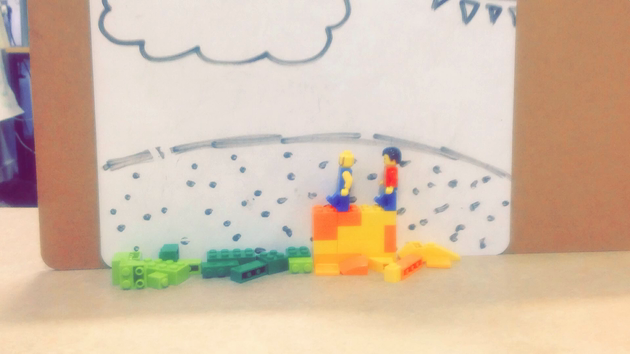 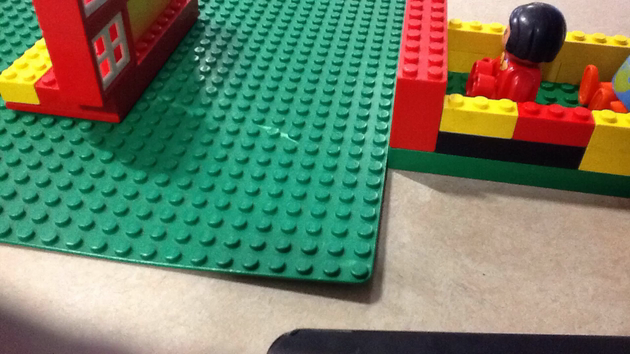 Year 5 have enjoyed getting to grips with the Lego Movie Maker app and teaching themselves how to use it. 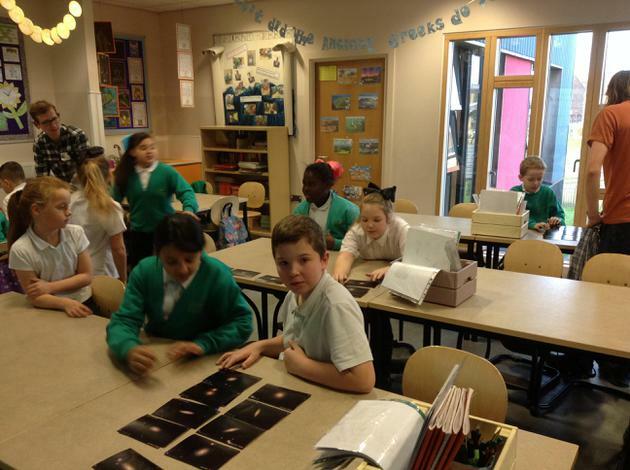 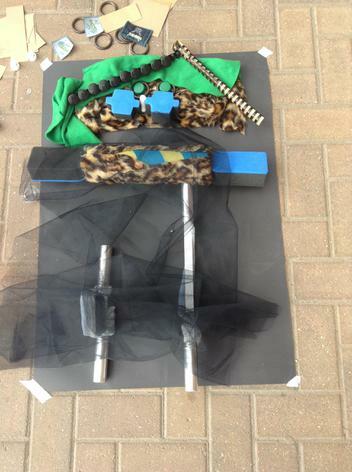 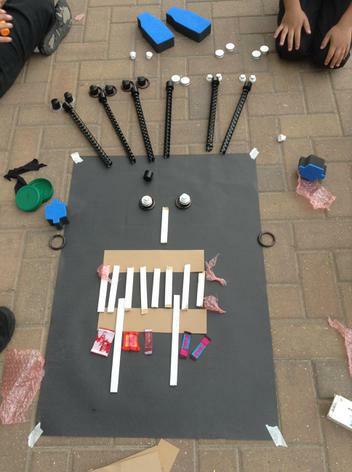 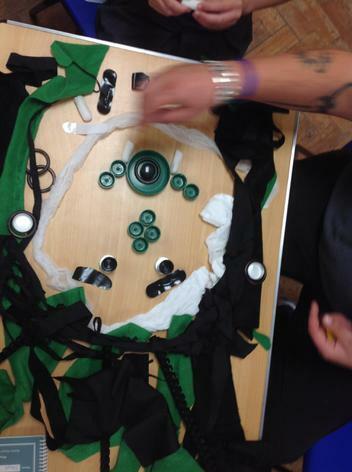 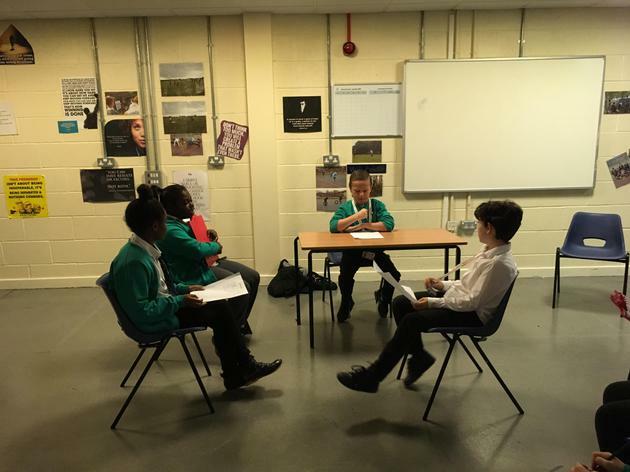 Below the photographs are some of the animations we have created based on the Greek Myth Daedalus and Icarus. 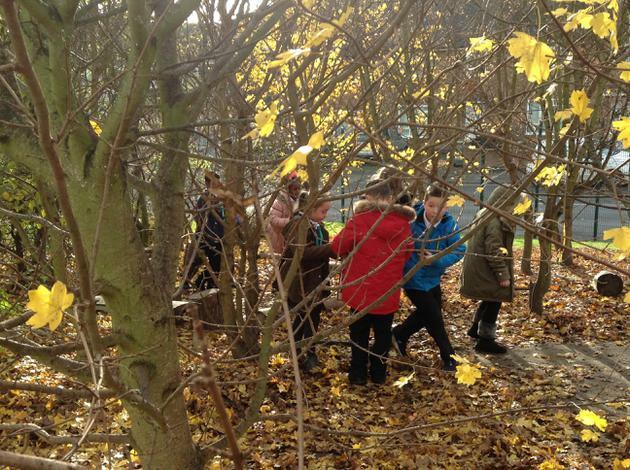 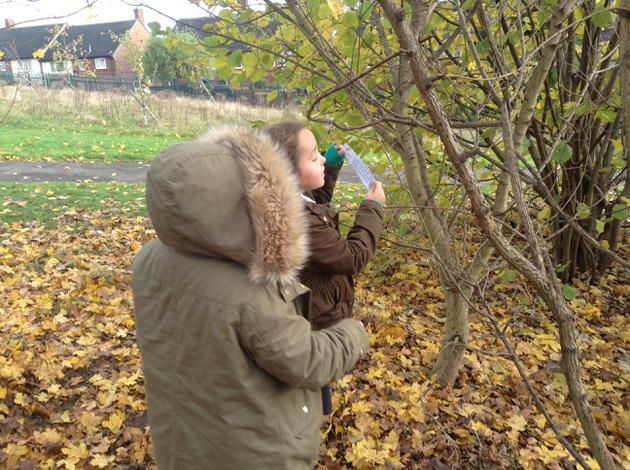 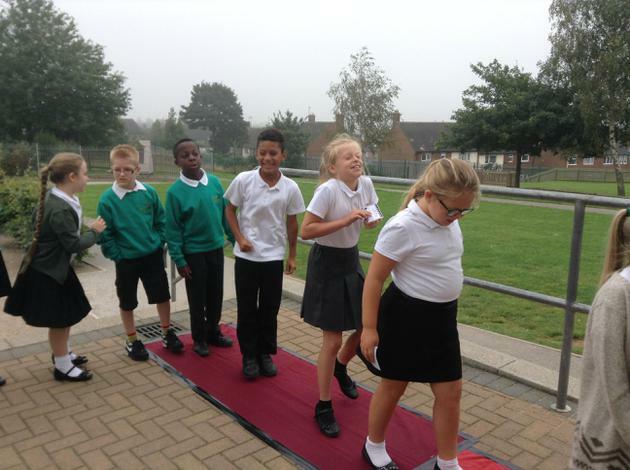 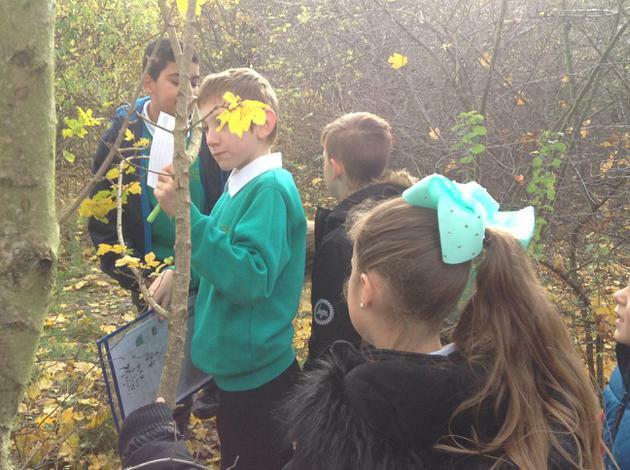 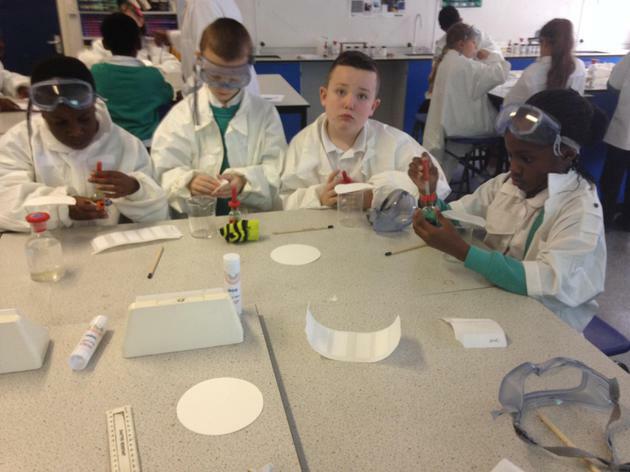 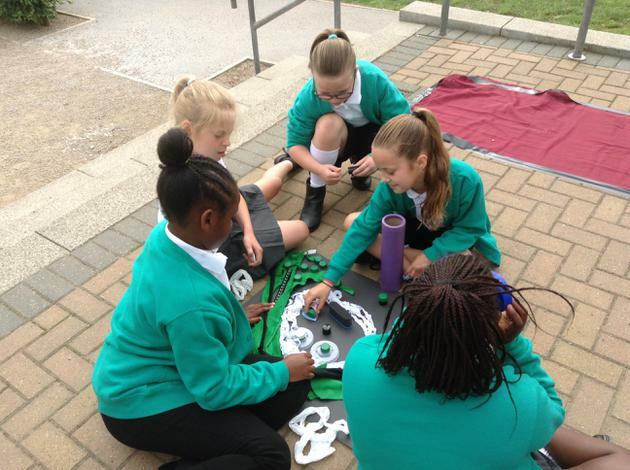 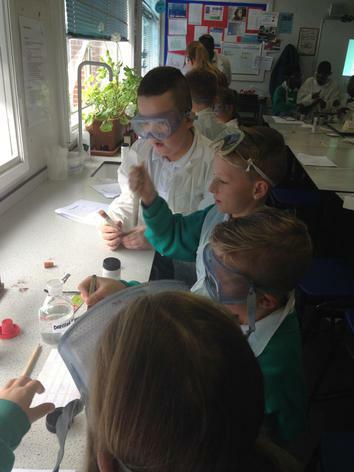 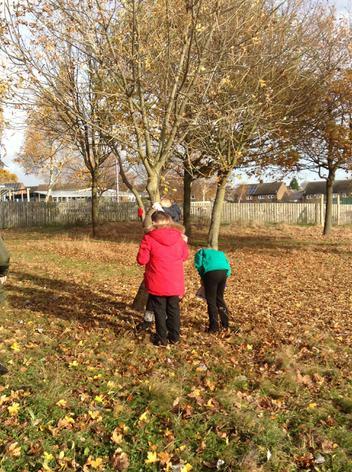 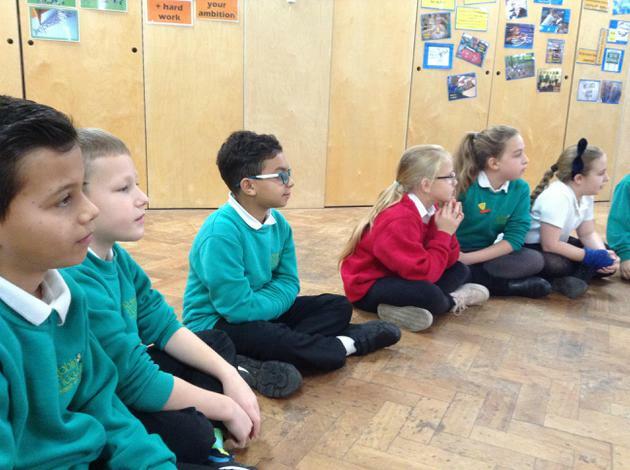 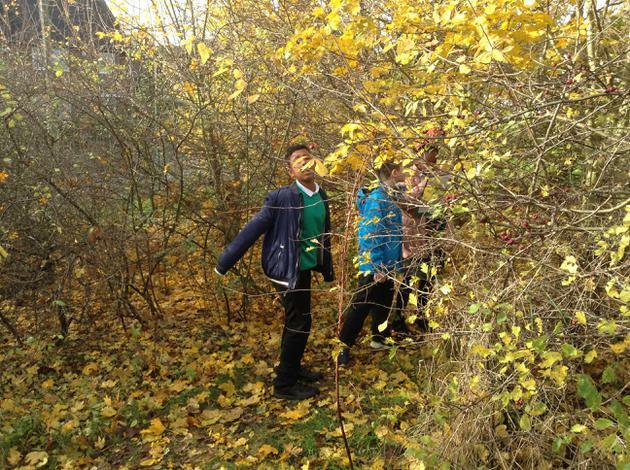 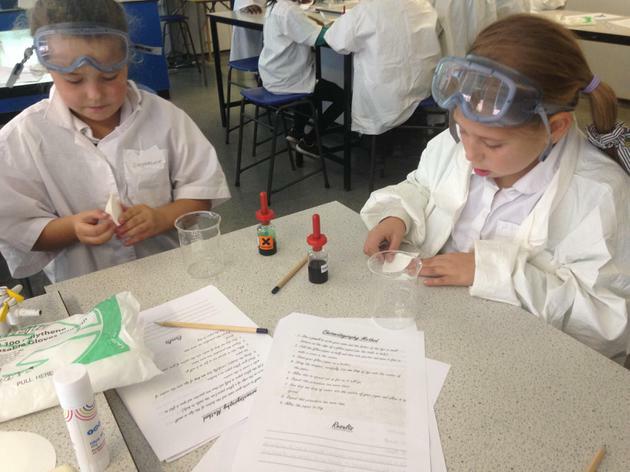 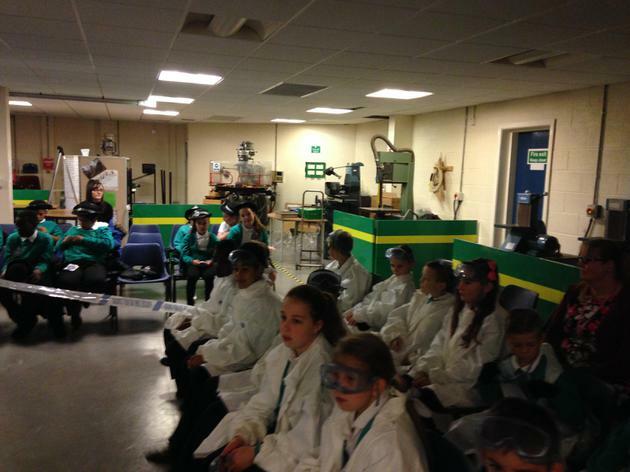 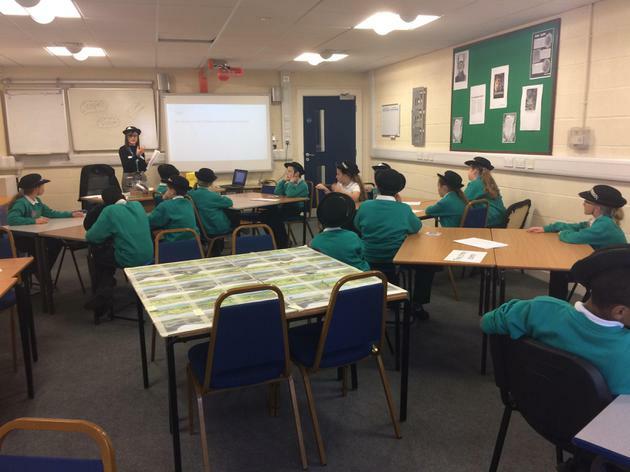 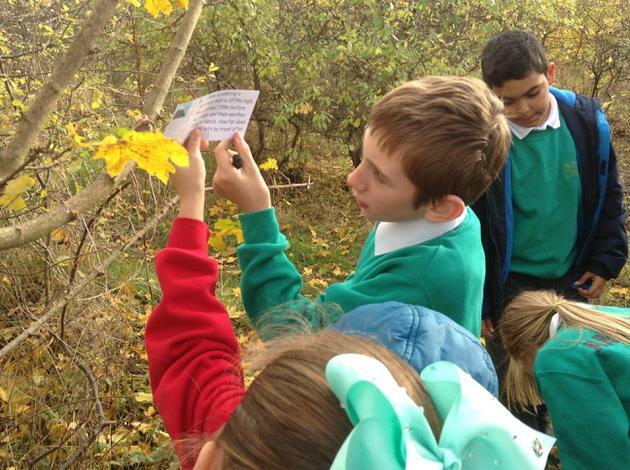 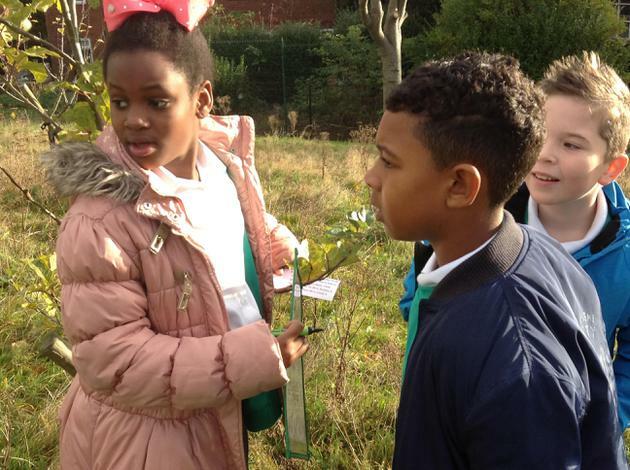 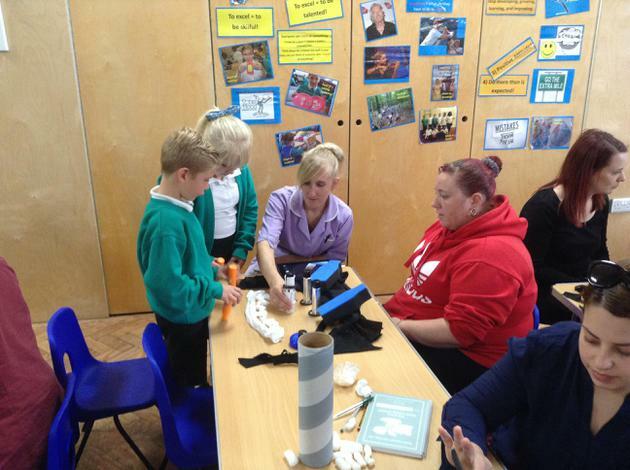 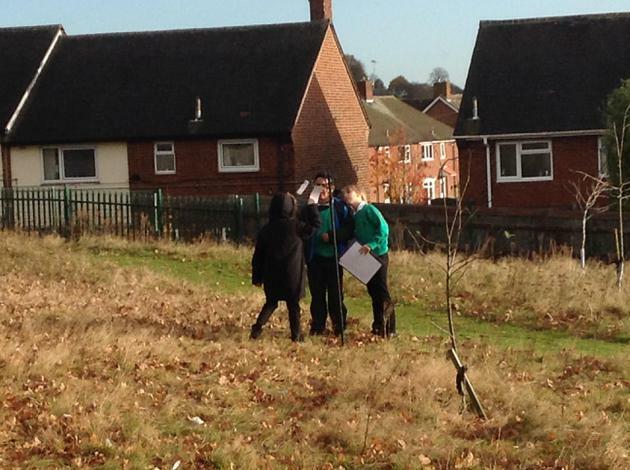 On Tuesday 11th October, classes Nottingham and Lincoln had a great morning at Top Valley Academy. 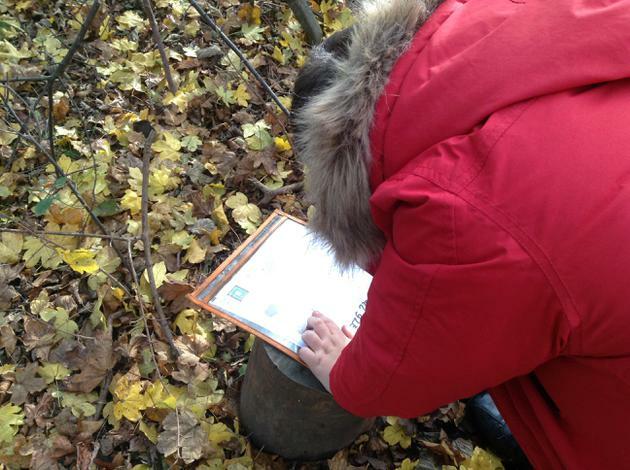 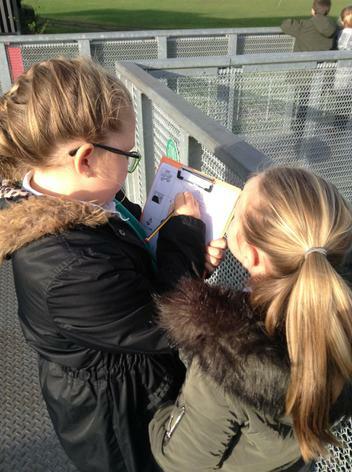 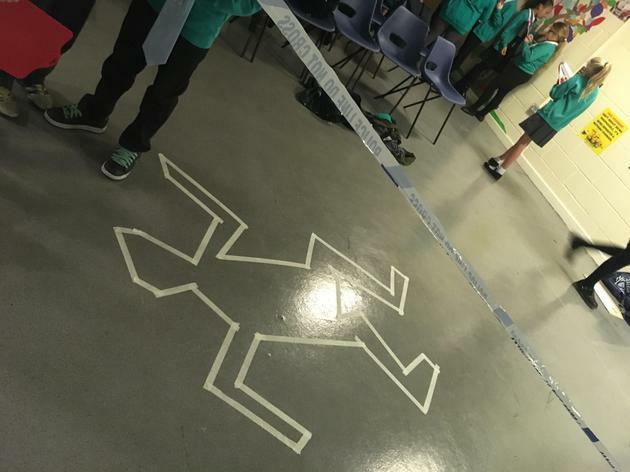 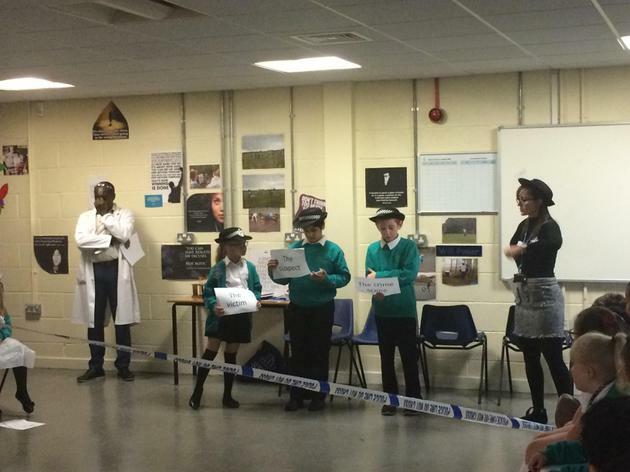 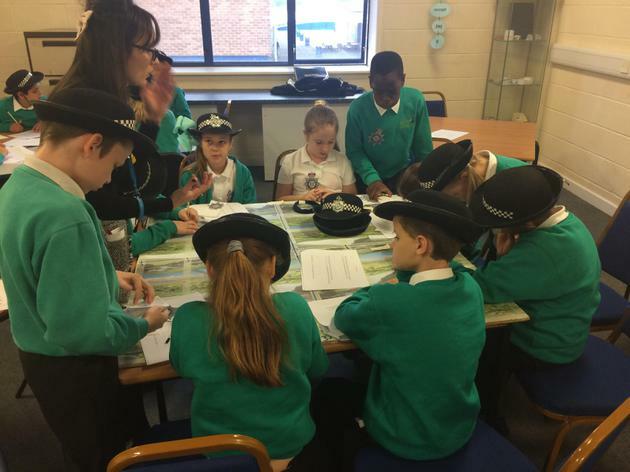 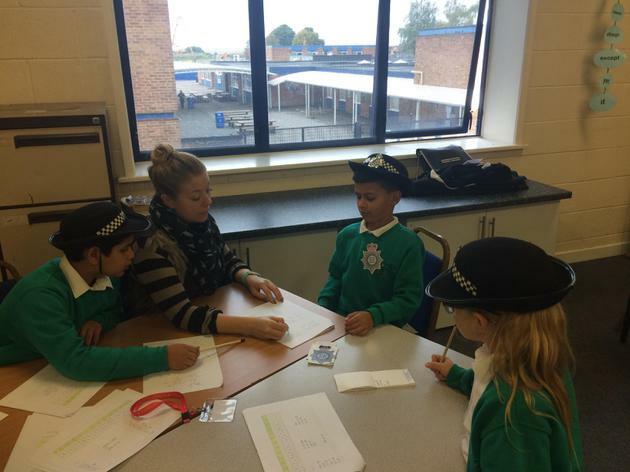 We used our maths, science and English skills to do some crime fighting and mystery solving! 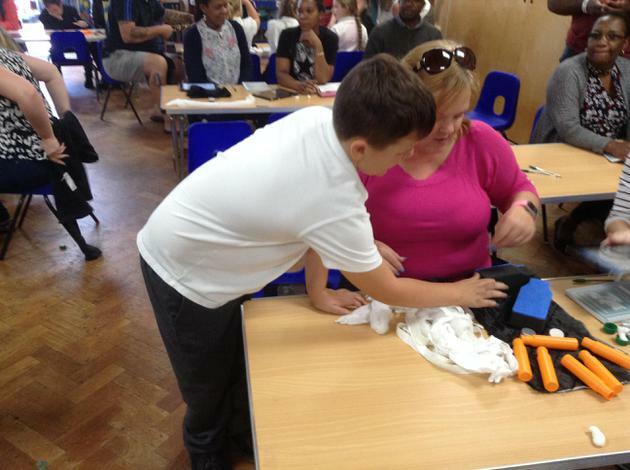 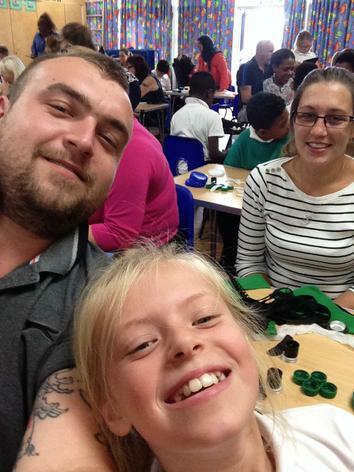 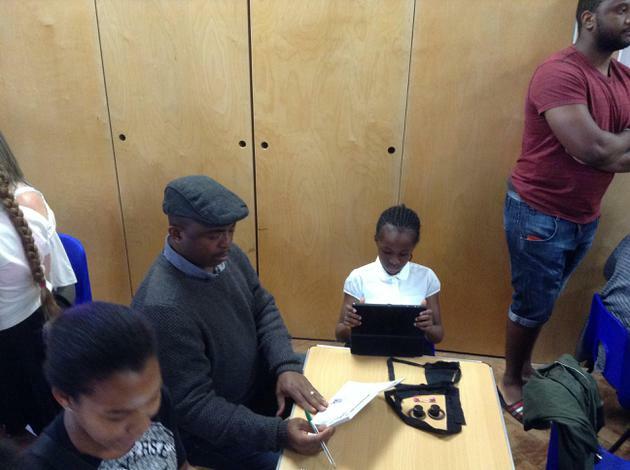 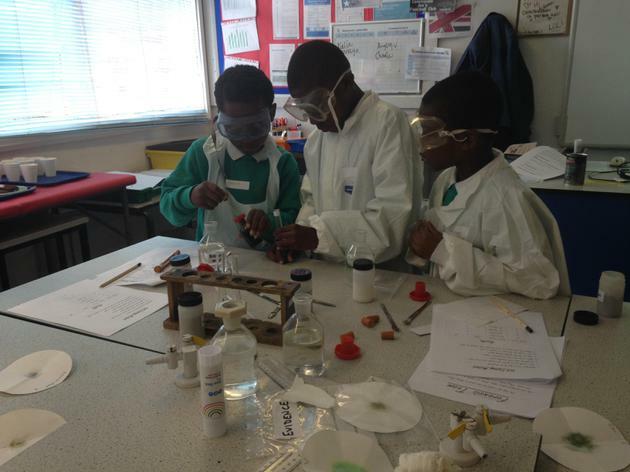 Thanks to all those who attended our parents' open afternoon; we hope you enjoyed it as much as the photographs show! 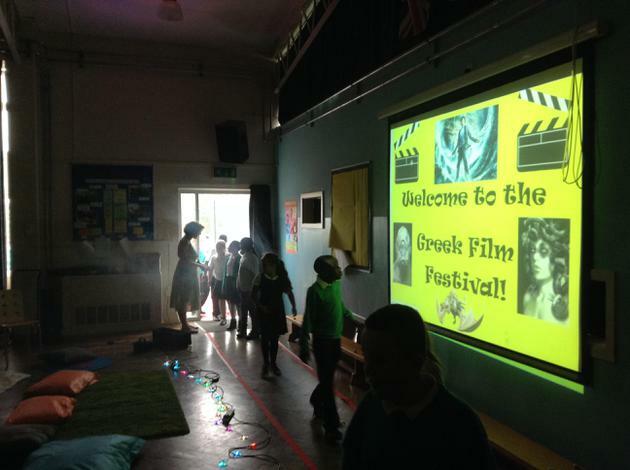 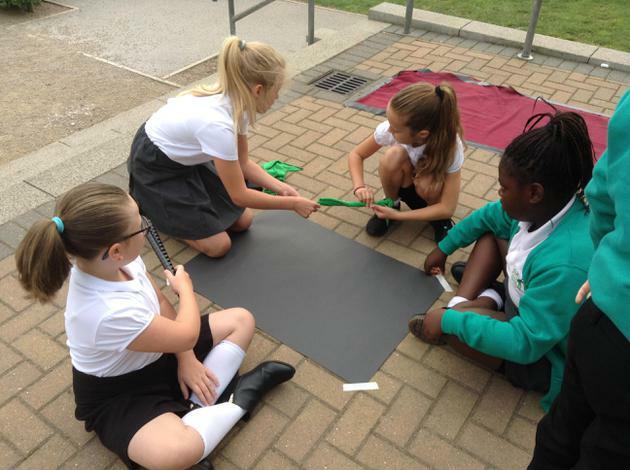 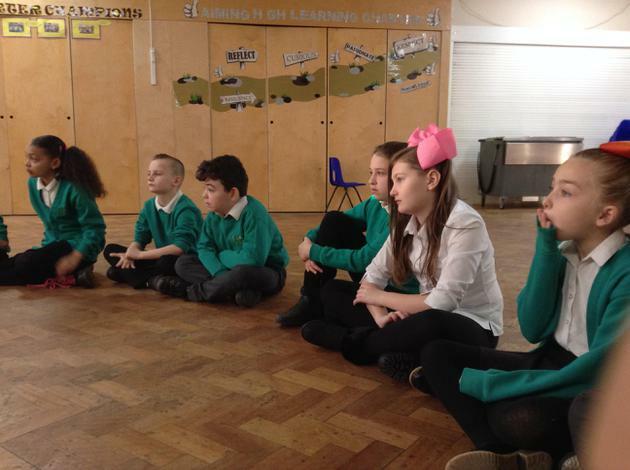 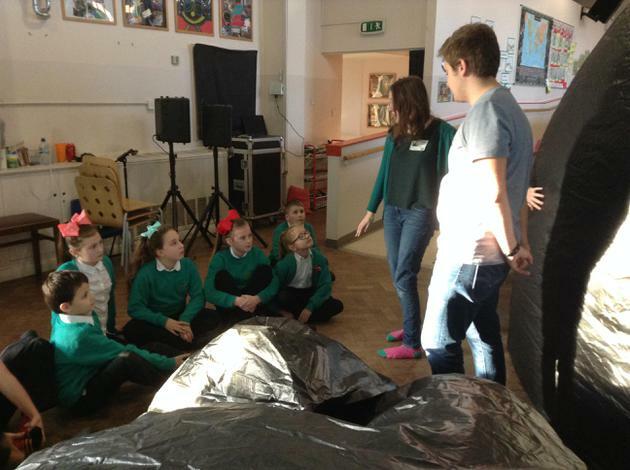 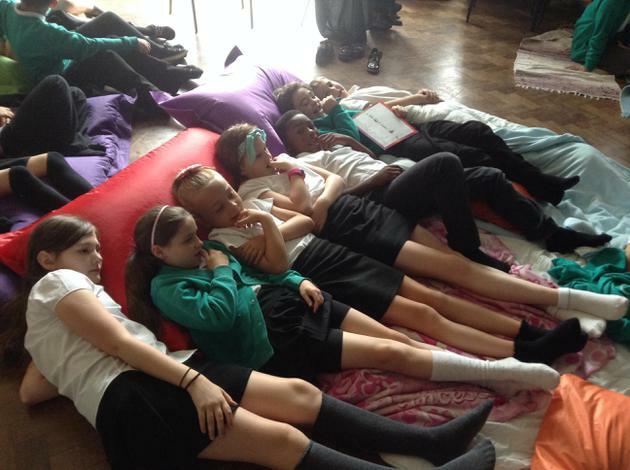 Year 5 had a great topic launch day at their Greek Film Festival Day. 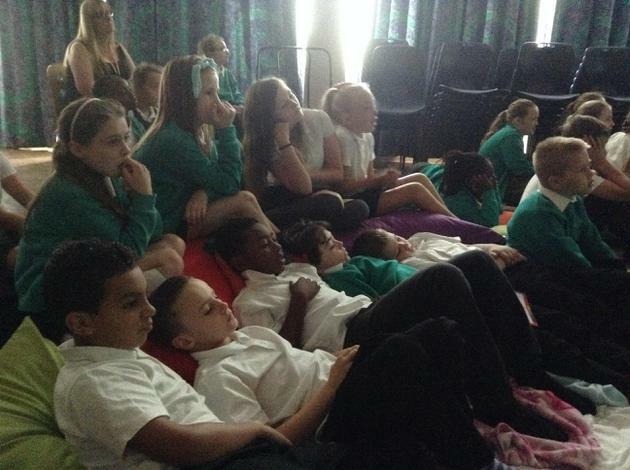 They enjoyed watching lots of film clips of mythical creatures from Greek Mythology and participated in a variety of activities throughout the day.